I’ve been watching the game of football since gas was 23 cents a gallon. For those keeping score at home, the statistics that correspond to that are 1955 and 58 years, which translates to a long time. And Sunday I saw something I’ve never seen before in the San Francisco-Tampa Bay game. Here was the situation: San Francisco had the ball, first-and-10 at the 49ers’ 31-yard line with 13:37 left in the fourth quarter. The 49ers led 20-14. 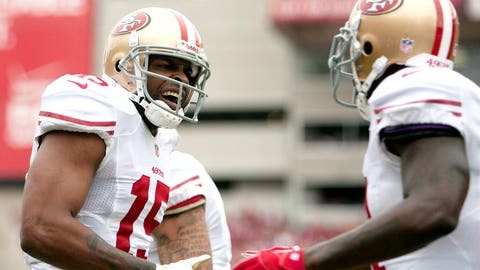 Quarterback Colin Kaepernick attempted a very long pass to Michael Crabtree that was overthrown. Two fouls were called on the play, an unsportsmanlike conduct penalty on the 49ers and offside on the Bucs’ William Gholston. Crabtree, obviously frustrated, picked up the ball and turned and fired a 50-yard pass towards the line of scrimmage. The ball hit Tampa Bay’s Lavonte David, who was standing in the defensive huddle, in the shoulder pad. 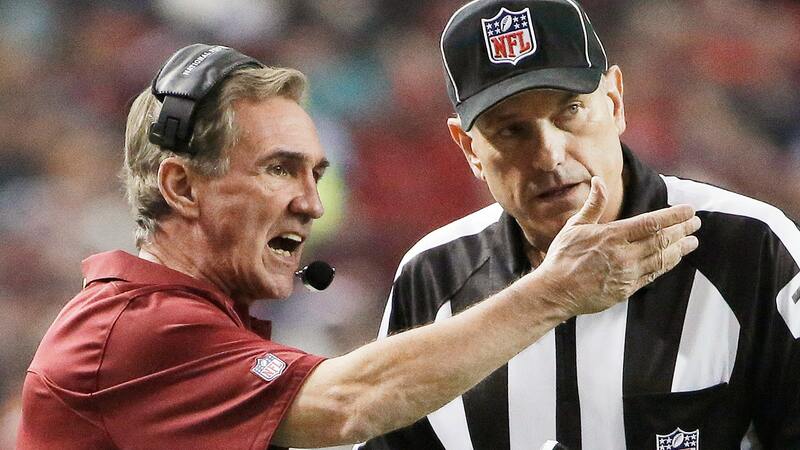 Unsportsmanlike conduct was called … and it was the right call. If the 49ers ever need another quarterback, maybe Jim Harbaugh should look at Crabtree, because his pass was right on the money. But you also had an offside called on the Bucs. Normally, that’s called a 5 vs. 15 enforcement — 5 yards for the offside, 15 for the unsportsmanlike conduct and only the 15-yard penalty is enforced. However, since the unsportsmanlike conduct penalty was reported to referee Scott Green by back judge Scott Helverson after Green had announced the penalty for offside, it was considered a foul between downs. So both penalties got enforced. A really interesting play and an interesting enforcement. Just in case you were wondering, milk was 92 cents a gallon and a stamp was just 3 cents in 1955. It’s a good thing I could see Sunday, because I couldn’t hear much in the Command Center here at the FOX Network Center because of some audio problems. But a play I saw in the Philadelphia-New York Giants game got me to thinking about something that really hasn’t been talked about much to this point — the notion of taking replay and putting it into the NFL’s Central Command Center in New York. And I really like the idea. Here was the situation: Philadelphia had the ball, first-and-goal at the Minnesota 3-yard line with 32 seconds left in the third quarter. Minnesota led 27-16. Eagles quarterback Nick Foles lobbed a pass into the back of the end zone to Zach Ertz, who was being defended by Andrew Sendejo. 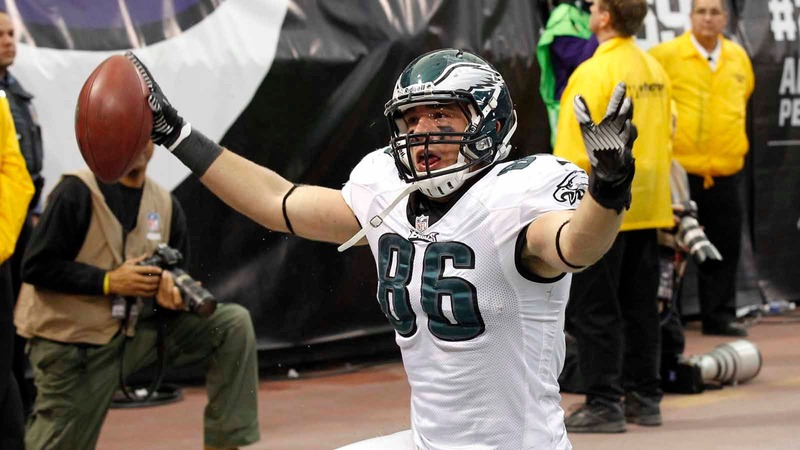 Ertz caught the ball with one hand and as he was going to the ground, held onto the ball near the end line. The play was ruled a touchdown on the field and after a booth review, the ruling was confirmed. The basic reason for moving replay to the NFL headquarters in New York is the idea of having more consistent decisions made in replay because you’d have a small group of supervisors making the decisions on every replay. However, it raises the question of will there still need to be a replay official at the stadium? There will be, because the replay official at the stadium will still be the one that decides whether to stop the game for a review on turnovers, scoring plays or inside of two minutes of each half. So there will definitely be a need for that person. But, once the replay official does decide to stop a game, or if there is a challenge by a coach, then that’s when I would send it to New York. 1. Once a coach throws a challenge flag, the decision on the challenge is then made in New York. 2. Once the replay official decides to stop the game for a review, that decision will be made in New York. But I think the decision to stop the game for a review will still have to be made by the replay official at the stadium. Upon further review … except it wasn’t. Something interesting took place on a punt during the second quarter of the Washington-Atlanta game Sunday on a play that wasn’t reviewable. Here was the situation: Atlanta had the ball, fourth-and-13 at its own 38-yard line with 12:48 left in the second quarter. Atlanta led 14-7. The Falcons’ Matt Bosher punted the ball 47 yards and Washington’s Santana Moss muffed the catch and it was recovered by Atlanta’s Robert McClain at the Washington 14-yard line. However, it looked like the Falcons’ Drew Davis, who was engaged with the Redskins’ E.J. Biggers in a block, ran into Moss, which threw him off. On a kicking play, the only thing that can be reviewed in this situation is whether or not the ball was touched by Moss, which it clearly was, or whether it was recovered in bounds, which it was. The act of interference did occur, in my opinion, because Moss is contacted by McClain, who is actively blocking Biggers, so it definitely impeded Moss’ opportunity to make the catch. Biggers did not give Moss a clear path, but that’s not reviewable so the officials can’t go into replay and put the interference call on. The only thing the referee could have gone into replay for is the touching of the kick or the recovery of the fumble. Washington should have retained the ball after a 15-yard penalty, but instead the Falcons got three points out of it four plays later on a field goal by Matt Bryant.